Birmingham will only be a truly global city if it forges ahead with a new combined authority with the Black Country, Solihull and Coventry, according to a leading business chief. 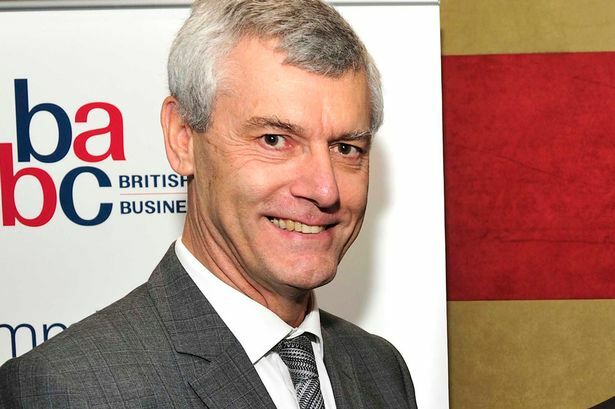 Jerry Blackett, outgoing chief executive of Greater Birmingham Chambers of Commerce, praised the region&apos;s seven council leaders for getting together to deliver a new region-wide &apos;super council&apos; to co-ordinate economic, skills and transport policies. He also warned failure to work together could see Birmingham slip down the list of global cities. Mr Blackett said: "Looking forward, there is probably only room for maybe 100 truly global cities. Maybe only 50? It is likely that extreme variation among the performance of cities will become the new norm. "That&apos;s why we are increasingly talking about a greater Birmingham. A wider city region that brings together the assets of the Black Country, Coventry and Solihull into a compelling package that does indeed compete with the best in the world. "So it is great to see our political leaders putting old rivalries behind them to work together." Last month, chamber president Greg Lowson went a stage further and urged the council leaders to consider seriously an elected mayor for the region if it meant unlocking more powers. Speaking at the opening of the new BMG Research consultancy headquarters in Edgbaston, Mr Blackett added the region needed to tackle issues around skills, job creation, climate change and income inequality. The West Midlands&apos; council leaders met with Chancellor George Osborne this week and agreed the first stages of devolution to include economic investment and transport. But the chancellor told them, while it was important to give city regions the ability to run themselves, in order to gain the full package of powers and funds devolved from London they would need to agree to a metro mayor - a leading figure directly accountable to the public.